The Bhojpuri actress, Akshara Singh, who recently made headlines after she shared an own composition which she had made especially for Rakhsha Bandhan. In the song, Akshara Singh can be seen giving a heartfelt tribute to all her brothers. On August 28, Akshara Singh made her fans go on knees, yet again after she shared some of her pictures on her Instagram handle. Apart from being a sensation dancer, Bhojpuri sensation Akshara Singh is also a mind-blowing singer. The Bhojpuri actress who recently made headlines after she shared an own composition which she had made specially for Rakhsha Bandhan. In the song, Akshara Singh can be seen giving a heartfelt tribute to all her brothers. 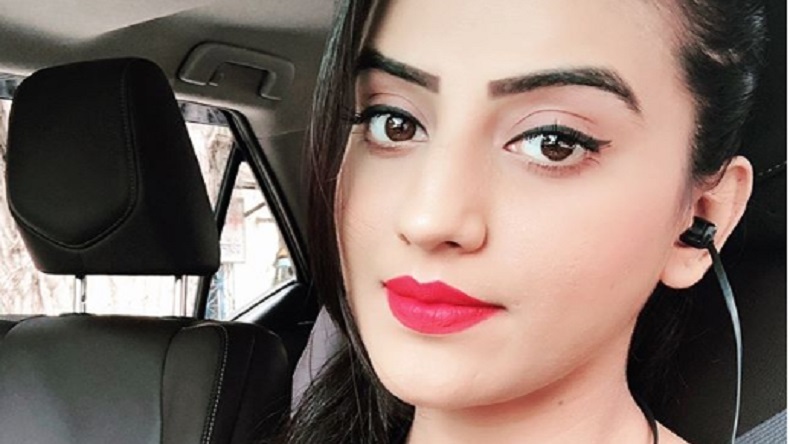 On August 28, Akshara Singh made her fans go on knees, yet again after she shared some of her pictures on her Instagram handle. In the photographs, Akshara Singh asks her fans to be beautiful in their own way. In the post, Bhojpuri actress Akshara Singh shares some 10 pictures of herself all in different poses and Instagram filters. Akshara Singh who is said to be one of the most bankable actresses in the Bhojpuri industry looks stunning in the black top and jeans. Ankita Lokhande looks ethereal in white flaunting her beautifully tanned body! The Bhojpuri actress has been featured in a lot of daily soaps like Kaala Tika and Suryaputra Karn before entering the Bhojpuri film industry.